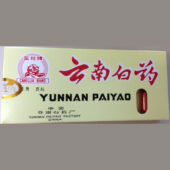 Yunnan Baiyao Archives | Wing Ming Herbs, Inc.
Yunnan Baiyao (云南白药) also known as Yunnan Paiyao has been extensively used and considered a sort of miracle drug for wounds, pain, and hemorrhage. Unlike Western pain drugs, it does not turn off pain centers in the brain, but instead facilitates circulation, bringing oxygen to the injury. 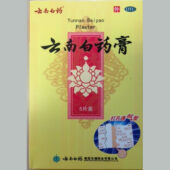 It is useful for any type of open cuts and any kind of surgery. It reduces recovery time for surgery by half because it mends injured blood vessels. It does not interfere with Western sedative drugs, so can be used the same day as surgery. By immediately activating blood circulation, it helps resolve bleeding, pain, and swelling. 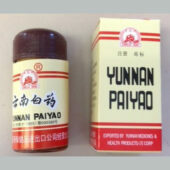 It heals oozing wounds and damaged blood vessels, while expelling pus and counteracting toxins. Supplement Facts Serving size: 0.50g Proprietary Blend Ajuga Forrestii Diels Dioscoreae Parviflora Ting Herba Geranii & Herba Erodii Herba Inulae Cappae Radix Notoginseng Rhizoma Dioscoreae Nipponicae Rhizoma Dioscoreae Indications: Its primary application is acute traumatic bleeding, where the powder is applied directly to the cut. The product is antibacterial as well as homeostatic. Cuts heal quickly with even a single application, and with a butterfly bandage it can help seal smaller wounds that might otherwise require stitches. In various clinical studies, it has shown to reduce clotting time by 33% to 55%. The powder form is more appropriate for topical application in traumatic bleeding, while the capsules are meant to be taken internally. 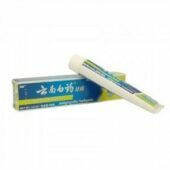 It is used for traumatic swelling or bruising, or for other blood disorders including hemangiosarcoma, thrombocytopenic purpura and leukemia. 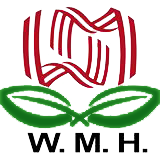 It is also used to inhibit internal bleeding due to trauma, surgery or cerebral hemorrh age.